Beirut: Mohammad Alloush, the 45-year-old brother of slain Jaish Al Islam founder Zahran Alloush has been up until recently a relatively unknown figure. Not even a published photograph of him has emerged up until recently. Yet, he has been appointed as “chief negotiator” for the Syrian opposition at Geneva III. Negotiating will be something new for Alloush, as his previous experiences has been in publishing, advertising, and Islamic studies. Both he and his brother studied Islamic law at Damascus University for one year then moved to the Islamic University of Madina in Saudi Arabia, living with their father who was and remains a Saudi-backed cleric. Alloush worked at Dar Al Nafa’es, a reputed Saudi publishing house, and then at an advertising agency called Saba. He then moved to Lebanon to study Islamic Banking at the Islamic University of Beirut. 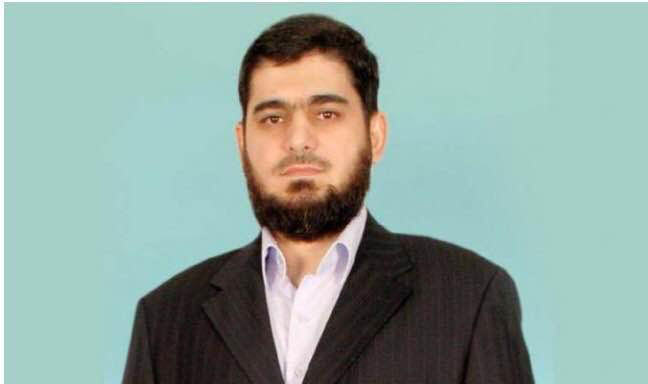 His PhD dissertation was how to transform conventional banks into Islamic ones, but he dropped out before completion, joining Jaish Al Islam, which was set up with Saudi funds in 2012, and dedicating himself fully to the new project in his native Douma in Al Ghouta, the agricultural belt surrounding Damascus. He was the founder of underground cells in Douma, 10-km northeast of Damascus, and rose in rank quickly to become a member of Jaish Al Islam’s Political Bureau. His cousin Zahran Alloush, who led Jaish Al Islam in Damascus, was killed presumably by a Russian air strike in December. The other negotiator is Asaad Al Zoabi. Born in the northeast countryside of Deraa on the Syrian-Jordanian border in 1956, Al Zoabi hails from a prominent family in the Haouran province that has produced prominent politicians and MPs since the 1940s. A relative of his was prime minister of Syria from 1988 to 2000 and another cousin is the current information minister in Damascus. Al Zoabi was greatly inspired by Syria’s performance in the October War of 1973, joining the Homs Military Academy from where he graduated in 1977. He was vehemently opposed to Anwar Al Sadat’s peace with the Israelis in 1978 and strongly supportive of Syria’s participation in the Gulf War of 1991. Al Zoabi — an unknown figure prior to the current conflict—defected from office in August 2012 and travelled to nearby Jordan, joining the Free Syrian Army (FSA). Unlike other defected officers, the 60-year old did not take part in battle but supervised operations in southern Syria, especially in Deraa and Al Quneitra, the principle town in the Golan Heights. His chairmanship of the opposition delegation took everybody by surprise since he is not a politician but a general with plenty of field experience yet none in negotiation skills.